Diamond has developed the new rugged, reliable, IP 67, push-pull actuating HE-2000™ harsh environment connector with superior optical and mechanical performance for demanding applications. 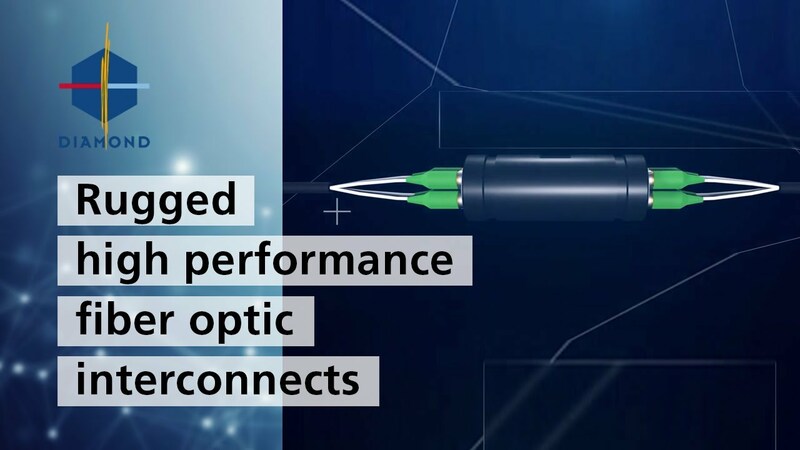 Built around the innovative Diamond Multipurpose DM4 OEM insert, the HE-2000™ connector incorporates four (4) termini using Diamond's two-component ferrules, assembled with the company's Active Core Alignment (ACA) process for unparalleled fiber core concentricity. Also available are electrical contacts for hybrid E/O applications. The optical and electrical termini are protected from dust and water with the unique automatic protection shutter on the plug connector and a manual shutter on the bulkhead receptacle.